In this day and age, saving a buck can go a long way. Who wouldn't want to save $5-$10 at the grocery store? What about $50, or more? As food costs continue to skyrocket, and our paychecks seem to stretch thinner and thinner, there is very real help out there. It is amazing how many people do not understand the significant amounts of money that can be saved, simply by collecting those coupons that come in the Sunday paper each week. This article will by no means make an extreme couponer out of you. You won't necessarily read this, and be able to run out and score a ton of deals, which include enough moneymakers and coupons to walk out, having been paid by the store. Instead, this article is aimed at the beginning couponer, who is looking for a way to keep their cupboards filled, while also scoring some great deals on household or health & beauty items that will one day, become the beginning of your stockpile. After becoming a stay at home mom for the first time ever, I found myself in desperate need of a way to save money, and still put decent food on the table. I have only been couponing about 8 months, however, I have studied & grown in my new hobby (and second job from home), and went from savings of $5 in coupons, and a few BOGO price-matches from WalMart (when they still offered it), to shopping almost entirely at Publix, every week, and spending no more than $75 each trip, while saving up to $55 in most. (Disclaimer: my OOP price each week includes not only food, but other items we purchase monthly, but typically do not combine with a grocery budget- such as diapers and detergents). I will provide steps, links, tips and examples of true savings, and how to achieve them. I hope you will learn a few important things, and continue to follow my blog, as we both learn and grow on this journey. Note: it is important to note, that some of the tips described here, may possibly no longer be valid after the start of the new year. However, as is the reality of the world around us, change is constant, and my hope is that you will continue to follow me, as I roll with the changes, and keep you updated on the most current ways to save those dollars. By following the tips in this article for the remainder of the year, you will be well on your way to becoming a seasoned couponer, who sees the obstacles thrown at them, over time, as just another stepping stone to effective household savings (and very happy holidays for the family)! Note: Please take a moment to click on the link above, and familiarize yourself with some lingo that is often used throughout the couponing community. 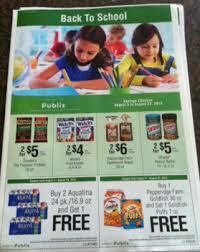 Publix puts out two Advantage Buy Flyers, that run for approximately 3 weeks. These can be found at either the stand near the front door, or behind the customer service desk (extreme couponers in many locations were wiping out the booklets). They are either purple (cleaning products & health items) or green (grocery items). These have special pricing that is available on items for the duration of the ad. It also includes coupons, which may be stacked with MQ's. 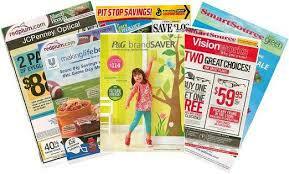 Each coupon typically (though not always) has a sale associated with it, throughout the run of the ad. If you are not in dire need of something, that you have a MQ to stack with the ad coupons, I recommend holding out as long as possible, to score the best possible scenario to use the q's. Finally, Publix offers a UPromise member card & key tag. This can be used to accrue money towards a child's college fund, through Sallie Mae. They also have electronic coupons (E-coupons), as well as money back in your account, after certain purchase incentives. You can also link this card to your Winn-Dixie card, and use the e-coupons there. You simply visit the website each month, and "clip" the deals you want. There is no limit to how many deals you can clip, though each only works one time. 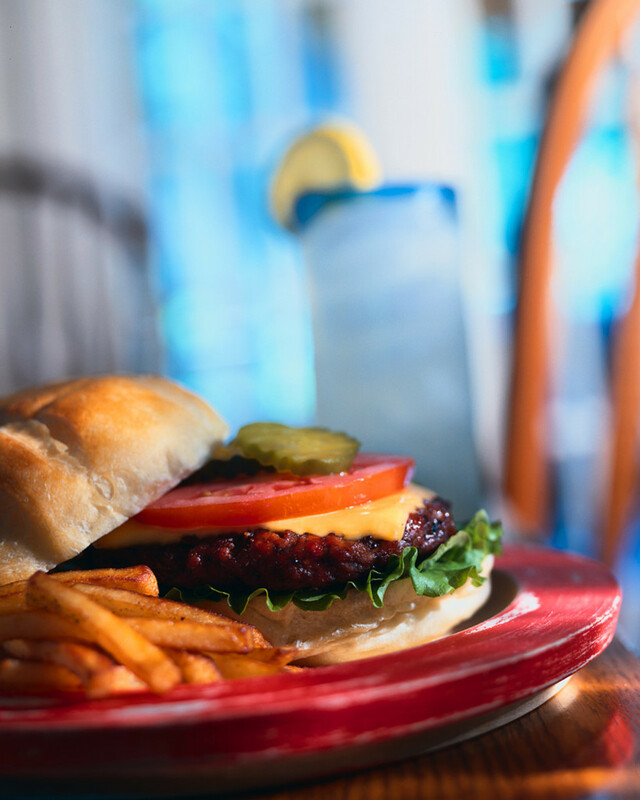 The money back in your fund incentive, typically involves having to spend a certain amount of money on a certain products (example: $5 back when you spend $15 on Bagel-fulls products). These incentives may be accrued throughout the month. Though not required, I recommend applying for the MasterCard they offer as well. Mine came with a $75 cash back guarantee, and all purchases give a percentage to my account (separate from the actual UPromise account, but could be registered in the same child's name). The good thing with the MC deal, is you may request the cash back at any time, rather than being required to use it towards education expenses, or sitting in the account for a certain amount of time. 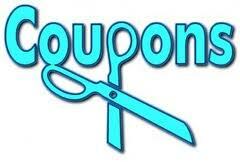 After you have taken a moment to familiarize yourself with the lingo, it is time to start collecting those coupons. Every good couponer uses both a coupon database, as well as follows a blog, site or social media page (or several) that cater to their favorite store. The coupon database I use, is local to my region. I prefer southernsavers.com, however you may simply type in coupon database, and add your local location if wanted, and many choices will pop up. The point of a coupon database, is to help you locate which insert a particular MQ was in. I suggest keeping your inserts whole (not cutting each coupon upon receipt), and filing by date issued. Many people buy a paper to get the inserts, see nothing they need immediately, and either toss the insert, or forget the coupon even exists (I was once guilty of this too). Sales will pop up in the coming weeks, that have been geared specifically around these coupon releases & expirations. Note: There are many other ways to store your coupons, aside from my preferred method. As your insert collection grows, you will find the system that works best for you. The coupon database, in most instances, is tied to a blog or page which provides other awesome couponing information, around your local area. So I definitely recommend making the coupon database website, a regular stop while planning your weekly, bi-weekly, or monthly shopping trips. 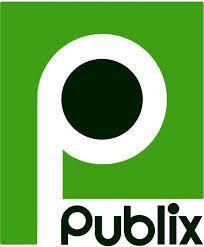 Another site I love, especially in relation to Publix, is IheartPublix.com. Here you can find a weekly sneak peek of the upcoming ad (which starts on Thursdays in my local region). They also provide tips to which MQ's, as well as where to find them, coincide with that weeks special pricing, or BOGO items. Again, a simple google search of "couponing in", and your local region, will bring a plethora of results, for pages which will be beneficial for you to follow. The last, and probably most important tool I use each week is my spreadsheet. 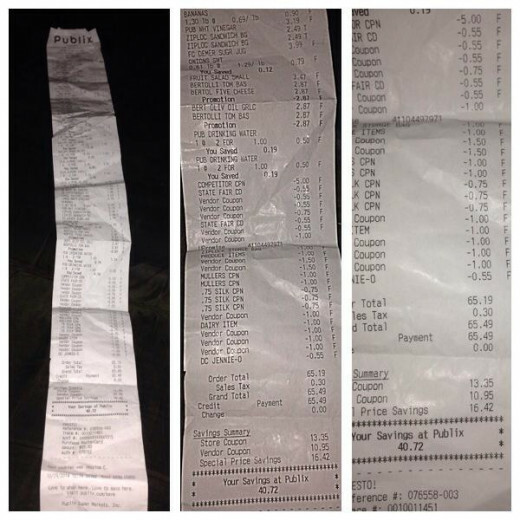 I did not create this, rather it was shared from a fellow couponer. I have not only gotten good at coming up with a very good proximation of how much I will spend each trip, I also have gotten good at remembering the market price of certain items. This is useful when I'm in need of something that is not on sale, and also when determining if special pricing is truly saving me money, if I have no coupon for an item. I have attached a link, to view the spreadsheet I use. If you have a OneDrive account, you will be able to log in, and save the spreadsheet for yourself. You may also, quickly create an account, if you still wish to save the sheet. Click below. I do try to keep my list items strictly to things that are much needed, truly special priced, and things I have a coupon for. You will obviously need to make a few trips to the store before truly diving in, to get enough of the "staple" items (meats, boxed sides, spices & oils, etc) to last you until the next sales round. Typically, sales run in 6-8 week cycles. So that cereal and butter that was on sale this week, and had great coupons to go along, will most likely not return again for 6-8 weeks (though this is not necessarily true for every product. Just think of it as more of a guideline, when planning out your lists). The first, most important tool you will need to start building up, not only a supply of coupons, but also a steady stockpile, are multiple coupon inserts. Remember, inserts are those coupon booklets, that come in the Sunday Newspaper (and in some regions, the weekly mail). RedPlum, SmartSource and Proctor & Gamble are the distributors of the MQ's. The P&G insert comes out once a month (last weekend). Some weeks there may be 1 of each RP & SS, while others may have a single insert included, or multiples of each. If ordering inserts from an online service, you typically order by sets. One set is, however many inserts are included, in one of that weeks papers. Since we are focusing on Publix, and BOGO deals are a number one way to save a good deal of money, while increasing your pantry contents, I recommend always purchasing an even number of inserts. 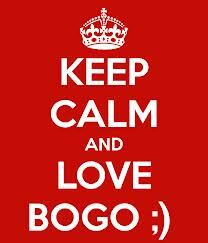 I bring up BOGO's so soon, because many people do not realize that when purchasing a BOGO deal, you may use 2 MQ's on the purchase. For example, Dial bodywash is BOGO, and there is a MQ for $1/1 Dial body wash, even though you are technically only paying for one product, you may use 2 of the $1/1 coupons. Alternatively, some coupons state $1/2, in this case, you may use one MQ, on the one BOGO purchase (of the 2 body washes). For me personally, I can usually make good use of 4-6 sets of inserts. This may seem like a lot, but remember, that's technically 2-3 BOGO deals. For larger households, scoring multiple BOGO deals is key to keeping their family fed. I know people who buy upwards of 10-20 sets. Many of these people are shopping for not only their family, but also other family members, neighbors, friends, and food pantries. Since Publix does take competitors coupons, if you are a mother of a young toddler or baby, it would be extremely beneficial for you to sign up for both the Publix, and the Winn-Dixie baby clubs. They send great coupons out, and can both help save lots of money on not only baby products, but many other household & grocery products as well. Finally, the last thing I recommend, and the number one coupon that has helped me begin the "mega-savings" are the Winn-Dixie $5/30 or $5/50 coupons. These are considered total dollar off coupons. Of course, this will only work if WD is considered a competitor of your local store. This coupon is also the item I was speaking about, when I mentioned that some policies will be changing after the first of the year. It has long been rumored in the coupon community, that WD has wised up to the use of their store coupons, mainly at Publix, and will be going digital for ALL coupons in the coming year. Only time will tell. In order to receive these coupons in the meantime (all expire 12/31/2014), you may try asking around your couponing pages for the "Enjoy the City" coupon booklets that are published each year (they include 4 of the $5/50 WD coupon. The $5/30 have stopped being published already, though you may be lucky enough to find someone who stocked up on them prior). If you can not get the booklet, or wish to purchase a higher amount, a simple search on Ebay should do the trick. Disclaimer: Always investigate your seller when purchasing from Ebay. With this total dollars off coupon, you may only use one per order. Though, if your order exceeds the amount (for example, you spend $85), you can use 1 WD $5/30, and 1 Publix $5/50, or vice versa. So, you can use one competitor total dollar off, and one Publix total dollar off. 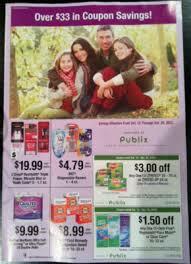 Note: Publix doesn't always distribute this coupon to all regions. I never received them, but called into corporate, and nicely expressed my interest in receiving their mailers, and was placed on a list. One more important item that you may consider carrying with you, is an up-to-date copy of the stores coupon policy. While your cashier should have this, as well as be privy to the rules, there have been instances where they overlook something. Having it handy, will speed up your time in line. I have included a link to the policy below. Now that we have done our homework, matched & clipped our q's and tweaked our spreadsheet, it is time for the shopping trip. I still get giddy when I walk into the store, coupon clutch in hand, and shopping cart pointed in the direction of the aisle that has the "most wanted deal of the week". If you aren't sure what I mean by this, just follow the couponing sites on social media, about 3 days before the new ad starts. There will be plenty of discussions, as well as people searching for their coupons to match the sale. For beginners, while it may be exciting to run out and score the same deal, I recommend trying to stick to as many deals as you actually will need that month, before getting your hopes (and spreadsheet totals) up for a deal that will very likely be cleared out by the time you get there. Once you have filled your cart, it is time for the "moment of truth". It is very easy to become overwhelmed, when emptying your cart, and trying to keep track of all your q's, while doing one last check, to be sure you grabbed all you were supposed to, and have all the corresponding q's with you. 2. Place UPromise card on front of conveyor (they will scan it quickly, then hand it back). 3. Give coupons, with the WD total dollars off on top. 4. After all q's are scanned, and right before the cashier totals the order, I input my phone number for any DQ's I may have had. Remember, many times the MQ are of higher value than the DQ (though not always), so I do it last to be sure all my MQ's were taken. Voila! You have just completed your first, of many, successful Publix shopping trips! My favorite part, is getting in the car, peeking at the receipt, and seeing how much money I have saved in that trip. Seasoned couponers know all about the rush you get, after successfully saving so much money, while having so much product to show for it. In some of my above photos, you can see how many coupons I ended up using on each trip, as well as how much I saved for coupons, special pricing & store deals. In the picture with the Pediasure, I spent $39. The shakes alone, before coupons & special pricing for the period, were $12.99 per 6-pack. 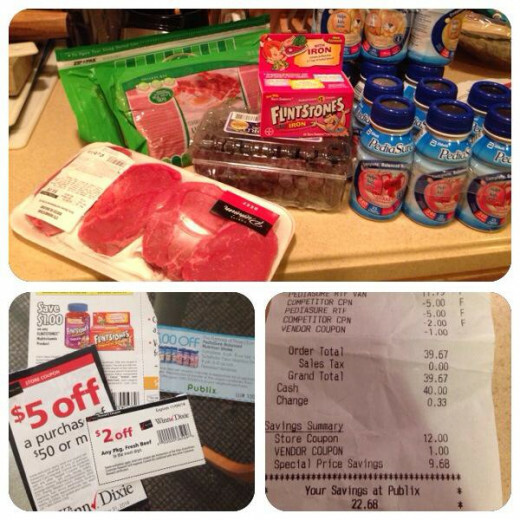 I basically paid for only the 3 packs, and got the steaks, grapes, vitamins and 2 packs of turkey bacon, all for FREE. As the month goes on, keep track of how much money you have spent. Compare it to prior months, or the past years grocery budget. You should start to see real differences within 1-2 months after beginning this journey. Final Note: While Winn-Dixie has fuel perks, and I do have my Fuel Rewards Network card linked, Publix offers a great deal every few weeks, where you can get $10 off a $50 gas card purchase. You have to purchase $50 in groceries first, and the sale lasts for 4 days only. You need to present the coupon from the front of the weekly ad, to receive the deal. If you will be using a $5/50 coupon, you must first spend $100 in groceries, before coupons. This is a great way to get back a few more dollars towards other monthly expenses. Combined with the savings from Fuel Rewards Network, you can cut your gas allowance by well over $10 you saved with the coupon. I hope you have enjoyed this article, and picked up a few useful tips along the way. Please follow me for more couponing tips, and advice. Also, please take a moment to answer the question below, about your coupon knowledge, prior to have read this. Feel free to leave me a comment too, and let me know what other tips or advice you would like to read about! How into couponing were you prior to this article? I knew, and already followed many or all of these instances & examples. I learned some knowledgable tools & policies, which will assist me in my couponing endeavors. 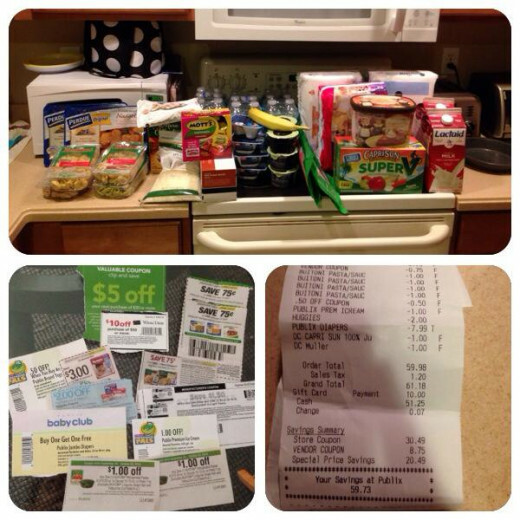 I was completely in the dark, and learned a great deal more than I knew about couponing.